According to tradition, in the welcoming Ethimo house in Milan, Moritz Mantero, founder and president of Orticolario, unveils the essence of the tenth edition of the cultural event dedicated to the passion for nature and its ability to transmit emotions and beauty. From October 5th to 7th at Villa Erba on Como Lake, a refined mix of suggestions and wonder. Orticolario is more and more inspiration and elegance for a new relationship between man and the environment that surrounds it. A coexistence between love for nature and passion for beauty as a way of life ". Few but intense are the words of Moritz Mantero, founder and president of Orticolario, to define the tenth edition of the event, scheduled from Friday 5 to Sunday 7 October in the historic park of Villa Erba in Cernobbio (CO), a nineteenth-century villa overlooking the shores of Lake Como, formerly the home of director Luchino Visconti. The essence of Orticolario, today, is clearer than ever, clearly visible in all its details, is the plot of a story built around nature: gardening, botany, landscape, art and design are all elements that help to tickle a certain sensitivity, to create an evolved idea of the garden, which can be outside and inside the walls of the house, without conceptual boundaries. And here we are at the physiognomy of the tenth edition: the title is "Si salvia chi può! ", The theme is the "Game", the main plant is the Salvia. The "Game", a complex and fascinating concept capable of generating fantasy, irony, mystery, sense of wonder. La Salvia, a magical, purifying and divining plant, a genus that can boast a great biodiversity, counting in fact about 1,000 species and hundreds of varieties coming from all over the world. To make the story even more "salvific" will be the guest of honor of Orticolario 2018, Roy Lancaster, vice president of English RHS, Royal Horticultural Society, discoverer of plants, writer and journalist, who will receive the award "For an Evolved Gardening 2018 ". To celebrate the tenth edition it was decided to place in the heart of Orticolario. its square, in the central pavilion of the exhibition center, a gigantic inflatable art installation. An immersive experience created with Mantero silk. A heart that beats for art and that marks a starting point from which the gardens and installations set up in the park are developed, inspired by the theme of the year and selected through the international "Spazi Creativi" competition by a jury composed of members of different nationalities; the winner is awarded the "La foglia d'oro del Lago di Como" award. As always, the event is enriched by a wide display of plants and flowers (including unusual and collectible plants) proposed by selected national and international nurserymen, as well as artistic craftsmanship, art and design installations (in particular the project "DehOr Design your horizon", exhibition areas and relax areas created by designers). In addition, over time, the program of cultural meetings and educational-creative workshops for children has grown considerably, placing Orticolario as the main event dedicated to the culture of beauty. Lastly, we should mention the double value of Orticolario, environmental and social: since the first edition, during the three days contributions are collected and then donated to associations of the Larian territory involved in the social, active in the realization of the event. Orticolario 2018 is made with the support of Mantero Seta and the contribution of Elmec Solar and Ethimo, and has an agreement with the FAI - Fondo Ambiente Italiano and the Italian Touring Club. Roy Lancaster will be the guest of honor of Orticolario 2018: "A true discoverer, a plant seeker who, thanks to his research, has modified the appearance of the contemporary garden - comments Moritz Mantero - Lancaster was able, with his work, to pass on a passion that pushes many people every day to deepen their knowledge of plants ". Friday October 5th, in the morning, he will be awarded the prize "For an Evolved Gardening 2018", created by Francesco Mazzola of FDM F.lli Mazzola, attributed last year to the French landscape designer, writer and agronomist Gilles Clément. To deliver it to him will be Gianfranco Giustina, curator of the gardens of the Borromean Islands, one of the most famous gardener in the world. Lancaster, then, in the afternoon, will participate in a meeting at the Gardenia Space introduced by Moritz Mantero. Orticolario 2018 will celebrate with Roy Lancaster the beauty of the passion for plants. A leading English plant expert, Lancaster is a mild man, a thinker, writer and prolific journalist. A master universally recognized and appreciated. His first memory of the plants is that of dahlias, chrysanthemums and roses grown by his father in his childhood garden. His passion later blossomed, by chance, during adolescence. He is a curious gardener who has traveled the world searching for plants. He searched for them (and found them!) In his England, where he was born in 1937, as well as in Malaysia during his military service or in Nepal during a botanical expedition. First curator of Hillier Arboretum (now Sir Harold Hillier Gardens, in Hampshire), Roy Lancaster has also told and explained the plants, made them close and possible through a popular career that has seen him protagonist for a long time in memorable television programs and radio for the BBC. His "hunting" expeditions of plants have been well documented in his numerous books that have shaped and made generations of gardeners dream. Roy Lancaster has received numerous awards for his contribution to horticulture including the Veitch Memorial Medal in 1972 and the prestigious Victoria Medal of Honor in 1989, as well as two of the most important honors in the UK, the title of Officer (OBE, In 1999 and of Commander (CBE, Commander of the Order of the British Empire) in 2014. Finally, he holds important roles in the botanical world, including that of vice president of English RHS, Royal Horticultural Society. His infinite knowledge, his introductions of plants become popular and the continuous curiosity for nature, make it a stimulating figure for gardeners and young horticulturists. And to those who ask him what was his greatest success, he replied: "I encouraged young people". IThe "Gioco", theme of Orticolario 2018, has tickled the imagination of the participants in the "Spazi Creativi" international competition for the design and construction of gardens and artistic installations. Eight finalists, evaluated by the Selection Committee among numerous proposals sent by architects, designers, landscapers, artists, gardeners and nurserymen from all over Italy and Europe. Eight "fantasists" who will literally put themselves into play realizing their project in the park competing for the award "La Foglia d'Oro del Lago di Como", vase-sculpture made exclusively by Gino Seguso of the historic Vetreria Artistica Archimede Seguso di Murano (VE ), currently exhibited at Villa Carlotta (Tremezzina, CO). In 2017 the designer Roberto Landello was awarded the Garden Lignano space "Lunar Cyclicity". These are original and innovative spaces, livable and usable, where they can also have fun. New ideas of garden and artistic installation that, respecting the genius loci, will give a different experience of relationship with nature and with others. A sea of ornamental grasses and perennial plants surrounds a sinuous "living tunnel", from which emerges a dome of intertwined branches and in which one enters through two circular labyrinths. And then wireless phones that allow you to talk to each other from different points. Interaction between space, instruments and visitor, which here plays with mysterious drums from which come out "good vibrations". The mastery of the sculptor Marcello Corrà wears lightness of iron that is integrated with the vapidity of the grasses and the autumnal perennial grasses. Then anemones, Aster, Buxus and Salvia jamensis. A path that ends in a rest area in which to contemplate the park. The project metaphorically tells the spiral of life, its contradictions and difficulties, its oscillations, its beauty. A life worth living playing in company, sharing. The path is ascending and passable on both sides, punctuated by frames that meet on a two-person swing. A "salvific" path in which to go beyond the fascinating web of virtual reality to allow ourselves to be led by the most natural instinct of the human being: playing a free, free, inclusive game. Make direct and real experiences on the traditional folk games carved in stone, discover the scents and colors of the sages and aromatic herbs, in the harmonic sounds of nature. An intuitive garden, in which plants are the protagonists of a pleasant controlled disorder. The "Topitta" is a little house, a shelter in the woods, the result of pure fantasy and made with salvaged boards. The atmosphere is fabulous, the style is harmonious between verbene, salvie, achillee, gaure, aster, veronica, anemone, echinacea, Cleome and seeds of natural flowering meadow. Made with very light metal structures, it brings back the suggestions experienced when playing with colored sticks to create fantastic castles and impossible bridges. And when the pieces collapsed? The desire to try again and to risk endless worlds with unconscious creativity was unleashed. Abandon yourself to the game to find spirit and moments. The game of soap bubbles (polycarbonate spheres), blown by a fairy-like figure (wire mesh), pushes sage towards the sky, then lays it on a carpet of leaves. Some bubbles contain a large sage leaf made with a weave of fabrics. Others, as in a spell, are transformed into a living plant. Habitat suspended between earth and sky, where the salvific power of sage strengthens and soothes the spirit. Presented in preview at Orticolario 2018, it is a project that creates modular interlocking modules made of recyclable PVC, which does not fear wear and is chromatically customizable. The area dedicated to the garden with Salvia, chairs and floral arrangements, alternates with the lounge area for a relaxing lake view. In addition to "Premio Foglia d'Oro sul Lago di Como", the jury will also award other prizes: "Empatia" prize for a space that tells, communicates and excites; "Arte" award for a space where the balance between art and nature coexists, where different languages find effective synthesis; "Grandi Giardini Italiani" award for a space of lights and shapes that communicates tradition and innovation; "Press" award for the innovation of materials and eco-sustainability; "Villa d'Este" award where style and elegance blend in a timeless tradition; "Visitors" award for the garden or the artistic installation voted by the public; "Villa Carlotta" prize for the enhancement of art in the garden. The awards for the 2018 Creative Spaces, with the exception of the "Visitors" prize and the "Villa Carlotta" prize, are ceramic sculptures signed "Le Terre della Torre", conceived and produced exclusively. This year, moreover, the "Gardenia per Orticolario" award was introduced, dedicated to the Creative Space as well as to the nursery, exhibitor or installation considered "memorable". The awards will take place on Friday 5th October at 2.00 pm at the Parco Gazebo. Finally, it should be noted that Orticolario not only rewards the Creative Spaces, but also the exhibitors. With the intention of showing, in an ideal tour of the world, many of the species that make up the genus Salvia, Orticolario has involved public and private organizations capable of supporting this ambitious project. This is how the collection of "Salvia per Orticolario 2018" was born. 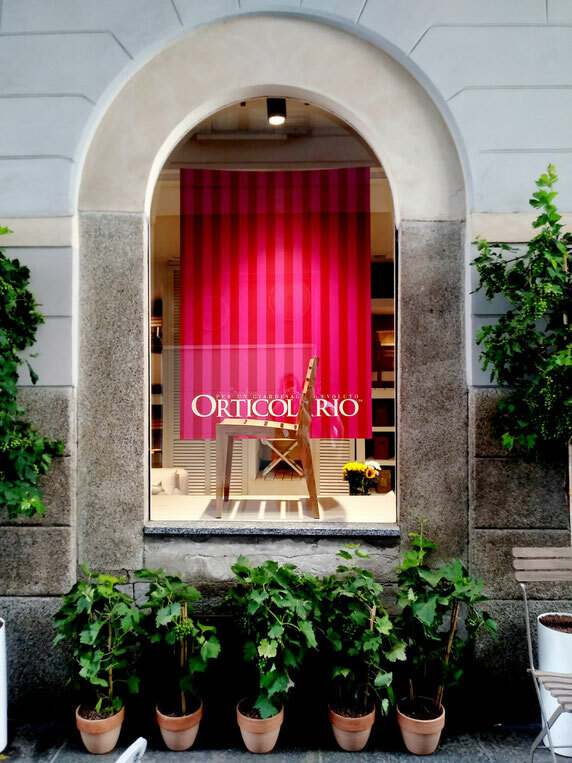 Orticolario and the CREA of Sanremo have signed an agreement that provides for the presence during the event of the collection collected and managed by Dr. Claudio Cervelli. A work, that of Cervelli, which, also through numerous technical and popular publications including the book Salvie: characteristics, uses and cultivation, continues in the conservation and enhancement of a unique and exclusive collection of species and varieties. Unique in the richness of the elements, the CREA collection has been made available to Orticolario, which has divided its research into two main areas: the tropical Salvia and the more or less rustic ones in the Mediterranean climate. The exposure of the tropical varieties will be within the scenic Serra Platani, while the Mediterranean varieties will enliven the flowerbeds of the park of Villa Erba. Two collections to give the right tribute to the Salvia, to their fragrance and to the many colors, two collections to show the richness of a genre and the long research and collection work. A collection that also includes many species used for centuries for medicinal purposes in various parts of the world. Many preserves have aromatic leaves, with fruity, balsamic, acres, etc. shades; the scent is due to the essential oils contained in glands present on the leaves and in the young stems. These oils have antimicrobial properties known for a long time, so much so that they have made herbal and medicinal exploitation possible over millennia. Salvia leucophylla, collectible pearl from Baja California, characterized by a pure aromatic green and rosy inflorescences; Dolomites Sage, a vigorous, fast-growing and very aromatic shrub with silvery leaves and an intense balsamic scent; Salvia buchananii, probably of Mexican origin, with thin and herbaceous stems; Salvia madrensis, a botanical rarity with a yellow flower that can reach up to two meters in a single year and produces curious inflorescences up to 60 centimeters high. A family-owned Dutch company founded in 1941, Florensis has proven worldwide experience as a producer of young plants for professional floriculturists (it produces over 900 million young seed and cuttings every year). The collection chosen for Orticolario is based on ornamental flowering species such as the series of Salvia farinacea 'Sullyfun', Salvia nemorosa with a unique collection of 13 varieties belonging to the Sensation® selection and saves from the flower bed as the splendens and superb and the beautiful Salvia della Wish selection, which have already shown themselves during Orticolario 2017. The collection of aromatics with Salvia officinalis, Salvia elegans Pineapple is also rich. The Florensis collection has been cultivated by Pironi Floricoltura of Vertemate con Minoprio (CO), which has worked with Orticolario for many years. A great effort was also made by Daniele Spinelli's Green Service nursery, which for Orticolario cultivates a particular selection of hybrids of Salvia called Wish. A unique selection and an Australian genetic line that has as its basis to always provide new elements of support to the Australian Make-A-Wish Foundation for the support of children suffering from rare diseases. The work of Daniele has been to collect with time the varieties of this collection such as Ember's Wish ™ and 'Wendy's Wish'. Garden saves on average vigorous and very floriferous so that they extend their flowering period from late May to cold months. Passing on love and respect for nature to the little ones. A real commitment to Orticolario, which since its debut in 2009 has always dedicated projects and spaces for the gardeners of the future. 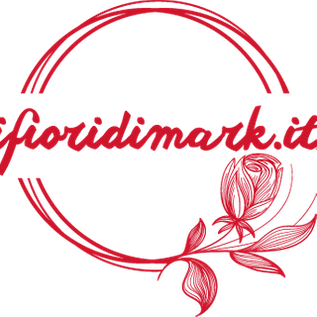 And also the tenth edition, scheduled from OctoberFriday 5th to Sunday 7th at Villa Erba, in Cernobbio on Lake Como, will be enriched by an ad hoc program. On Fridays, as usual, it will be dedicated to pre-school, primary and secondary schools in Lombardy: following a ludic-didactic itinerary designed specifically for the occasion, about 550 students will touch with hand what it means to think, design and create a garden , and they will immerse themselves completely in the world of nature, approaching its rules and its peculiarities. On Saturdays and Sundays, on the other hand, there will be a space in the Queen's Wing dedicated to children aged 3 to 13 visiting with family, a real creative workshop where thematic creative-thematic workshops will be organized to let them discover the magic of nature: educators and qualified educators will cheer children with creative and sensory activities, tickling their imagination and curiosity, and letting them discover how many stories are hidden behind the leaves. The proceeds of the laboratories, through the Orticolario Fund, specifically created to collect donations for cultural and social programs, will help to support projects presented by local associations that deal with people in difficulty and are active in the implementation of Orticolario. This space, among other things, allows parents to visit the exhibition independently and in total tranquility. "On the eve of the tenth edition, I can say that Orticolario is the only event in the sector to offer children a cultural program so rich and so unique, because it also involves the social sphere - explains Elena Mantero, head of the children's program. Orticolario - I also want to emphasize that our laboratories, which allow parents to visit the exhibition serenely entrusting their children to educators, are not, however, the 'parking': the children come out of Orticolario with something more, they have fun and they learned something they did not know ". To understand its success, suffice it to say that in 2017, almost 2,500 children entered school (between schools and weekend workshops), most of whom showed great interest in the program designed specifically for them. The program is wide and varied and includes activities to be carried out mostly indoors: the workshops are about a fortnight, repeated several times during the two days. Fil rouge, the link with nature. Just to give some examples: you will become small herbalists to discover the properties of aromatic Sage, and small vegetable gardeners with a "mini-vegetable garden" to take home, will make clay tiles with figures and portraits in high relief and spins of sage-flavored paper with the Origami technique; you will make real sand sculptures, you will become poets and you will give life to the Orchestra of Nature playing stones, woods, bones, shells, seeds, leaves, feathers and much more; and again, thanks to an infrared camera located in the park of Villa Erba at night, you will find out which animals are not afraid of the dark. There will be a special treasure hunt and an adventurous tree climbing in the park. Among the highlights also the show of traditional puppets by the Teatro dei Burattini di Como. Finally, as every year, the children's library "Fiori da leggere" will be set up, in collaboration with the Brunate Municipal Library, with readings dedicated to nature: and in this space on October Sunday 7th , Carthusia Edizioni will present the book Il respiro of all by Sabina Colloredo with illustrations by Marco Brancato: exciting pages in which, through nature, the environment and its inhabitants, children are welcomed and diversified. The laboratories are limited. The online reservation (from the beginning of September until Thursday October 4th at 8 pm) allows you to secure the seat and access to the fast track for registration, avoiding queues. To participate in the full-day workshops, the cost is 10 euros. Suggestions, surprises, curiosity. A rich program of experiments, meetings, activities, photo workshops, botanical demonstrations and shows. Do not miss the "Cinesalotto" in the Secret of Villa Antica with the screening of short films and feature films on nature. All the meetings and activities offered at Orticolario are unique: despite being held by distinguished experts in the field and excelling in the technical-scientific level, they are characterized by the non-academic approach, but passionate and emotional, which invites to " read "the stories behind the leaves, to go in depth but with grace, to capture beauty anytime, anywhere. Here are some of the macrotems dear to Orticolario and some of the protagonists of the program in the year of the game. Photography. The classic appointment with the photographic workshop curated by Lello Piazza, organized by Gardenia (cairoeditore.it/Gardenia) and Orticolario, will be led this year by Maurizio Galimberti (mauriziogalimberti.it), one of the most important personalities of instant Italian photography. With what "will you play"? Interchangeable optical cameras and some Fujifilm Instax. The sage. The darling of 2018 will be presented by Claudio Cervelli, researcher of CREA - Council for research in agriculture and analysis of the agrarian economy (crea.gov.it), which will accompany visitors to the rediscovery of the infinite qualities of Salvia in a walk among the collections of CREA for Orticolario. To learn how to know its biodiversity and understand something more about the garden of the savages. The "Game" theme of the year, with its importance in the garden and in the landscape will be tackled with Rete dei Giardini Storici - ReGiS (retegiardinistorici.com). Laura Sabrina Pelissetti, president of ReGiS and historian of the gardens will make a historic journey in the game, among some of the installations set up in the park. In the end, the theatrical performance "Questioni di Stile" with the volunteer actors "Amici di Villa Ghirlanda". In its complexity, the game is also theater. Orticolario 2018 will propose a theater that rediscovers the figure of the jester etymologically understood, as "one who plays". Around the park, the "Giullari del Diavolo" to laugh, surprise and be amazed. Between juggling and magic, entertainment and the "Dance of the crystal balls". The curiosity. Natale Torre (torrevivai.com), agronomist, nurseryman and one of the last plant seekers will lead visitors through two sensory paths in the plant world, to discover its novelties, oddities, its original and secret aspects. An example? The miraculous fruit of Synsepalum dulcificum that, after eating it, makes all the flavors sweet, even that of lemon, or Petrea, whose ripe fruits, when they come off the plant, rotate like helicopter blades before touching the ground. The well-being and the art. A unique work like the one that invades the central pavilion, "ooomm" by Stefano Ogliari Badessi, will be experienced and will dialogue with events dedicated to yoga. With Paola Fontana and Veronica Coduri, founders of Arvindaa Yoga (arvindaayoga.com), participants in the silk sculpture will create, through practice, a work in the work. To become artists of themselves. Soon the complete program is online. A free shuttle service to and from Villa Erba will be active on Saturday 6th and Sunday 7th, departing from Como.